Finding a restaurant is easy - what about an empty spot? Google Maps is all about helping people find their way, be it going to a friend's place or wandering around an unfamiliar city. Now, it seems Maps may now also help users handle one of the more frustrating parts of road travel: parking. It appears Google is working to show parking availability for users taking driving directions in the Google Maps app, according to Android Police. The source's breakdown of the feature - which is currently rolling out for select users in Maps' v9.44 beta - gauges the difficulty of parking at the user's target destination. The driver gets a heads-up if parking will be a breeze or a pain in the you-know-what, making it easier to know when to start looking for a space before getting trapped in gridlock or inside a particularly contentious parking lot. As you can see on the bottom of each screen next to the estimated travel duration, there are now little 'P' symbols indicating easy to medium parking difficulty in blue, while a red symbol pops up where spaces might be limited. The parking availability feature doesn't yet appear to have rolled out for all beta users, making it unclear how long we can expect to wait before making its way to the public. We've asked a representative at Google to learn more about Google Maps' upcoming parking features, and if there will any limitations on what locations are able to use it. 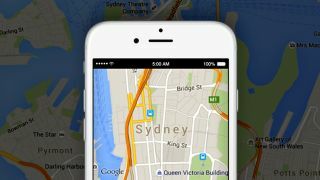 Google Maps is no stranger to adding small upgrades to make things a lot easier for users. The app has come up with solutions ranging from pinging an Uber pickup to judging wheelchair accessibility to even showing gas prices of nearby stations. Parking seems to be its next big hurdle, and we're all for it.